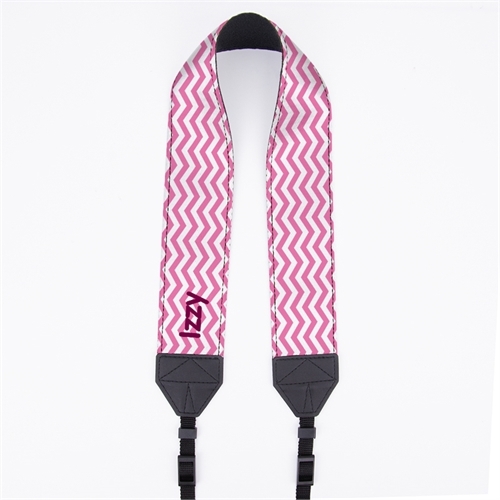 Once personalized with your name, or company name, the Pink Chevron Personalized 2” Camera Strap can compliment your style or personality as well as helping you to promote your brand. 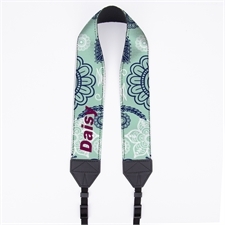 Your designs will be printed in full color on to the high quality fabric material on one side of the custom camera strap, and the leather material on the other side provides a stronger grip when the camera strap is resting around your neck or around your shoulders, providing a secure and comfortable fit when you're using your camera on the move. The camera strap can be conveniently strapped onto your camera via the lugs or loops on the sides of your camera. 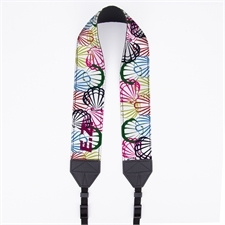 You can customize your camera strap easily using our online camera strap maker in just a few easy steps.